You might recall the Polk MagniFi Mini from Rita's recent review of it, in which she ranted and raved about it and its lack of any real flaws. At its $299 MSRP, this little soundbar is already a pretty decent deal, but Adorama has decided to go ahead and take a whopping $120 off, making the MagniFi Mini just $179.99 with a code. That's crazy. The MagniFi Mini is comprised of a compact soundbar with two tweeters and four drivers on board and a separate subwoofer. 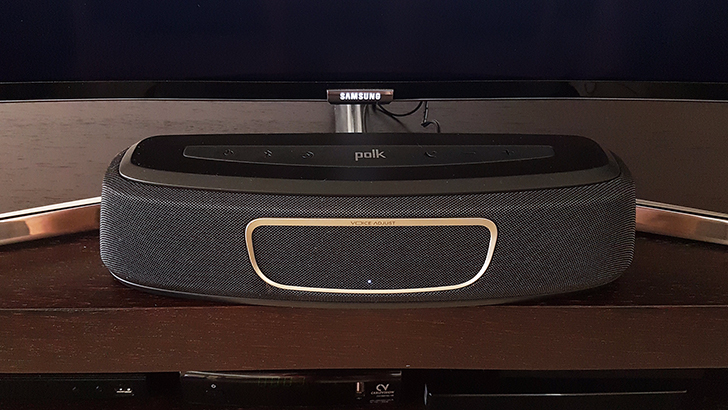 While it may be small in stature, it produces some seriously loud sound that'll make you hate your TV's built-in speakers. It supports Chromecast/Google Home integration as well as a bevy of input methods, which is always great to see. All this left us very impressed. This mini soundbar normally goes for between $270 and $300, but Adorama is selling it for an astronomically low $179.99. To get this $120 discount, you'll need to use code OCTOBER17 at checkout. It's not clear when this sale will end, but judging from the code itself, I'm guessing it'll last through October. Hit the source link to grab a MagniFi Mini of your very own.